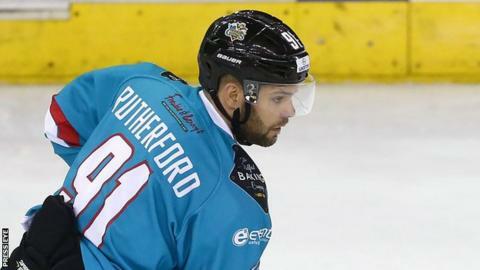 The Belfast Giants will face a 5-3 deficit in the home second leg of their Challenge Cup semi-final with Cardiff. Sunday's first leg was tied at 2-2 after two periods with Trevor Hendrikx and Ryan Russell on target for the hosts and James Desmarais and David Rutherford getting Belfast's replies. Kris Beech scored the third Belfast Giants goal in Sunday's first leg. But Guillaume Doucet, Leigh Salters and Joey Haddad netted to put the Devils in pole position for the return leg. The second leg will be staged at the SSE Arena in Belfast on Tuesday, 23 February, with the final in Sheffield on 6 March. Cardiff are the holders, having beaten the Sheffield Steelers in last year's final, while Belfast last won the Challenge Cup in 2009.